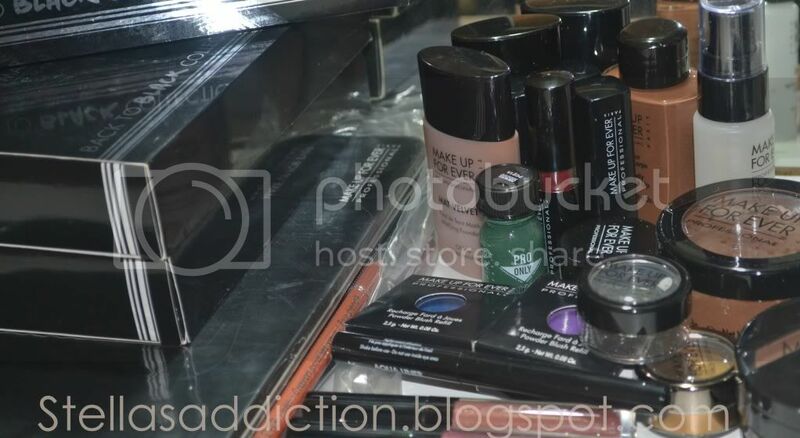 Have you noticed I have been buying quite a bit of make up lately? Isn't retail therapy just grand!?! Over the past few months I have truly lived up to the name of this blog. This haul however, (which I am a little ashamed of) officially ends my therapy sessions. Yes I declare myself healed (before I find myself singing under a bridge for food). The volume of this haul is the result of a staggering 50% discount offered at the MUFE stand during the " Congrès International d'Esthétique Appliqué"
At the counter I was given transparent lipstick in No. 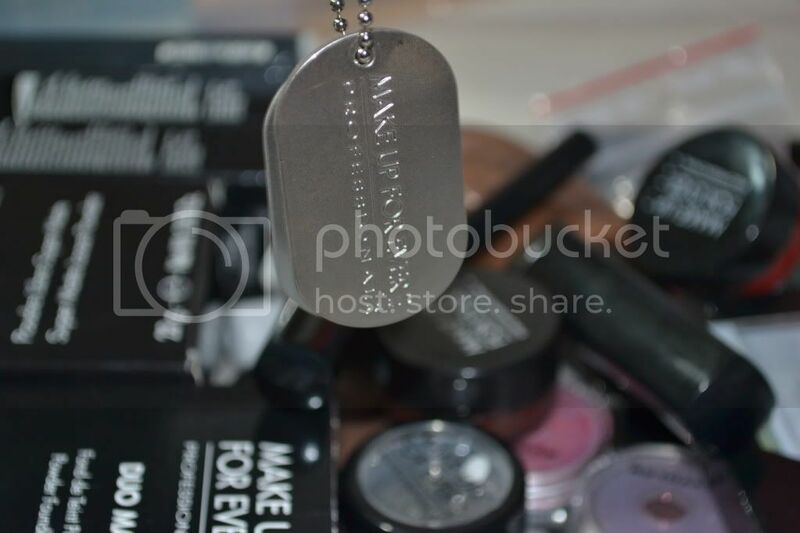 418, a MUFE dog tag and the "Back to black"collection (1L aqua eyes pencil, eye lashes and No.307 eye shadow). Then I ran in to Jacques (co-founder of MUFE) and he remembered me from IMATS London!!! 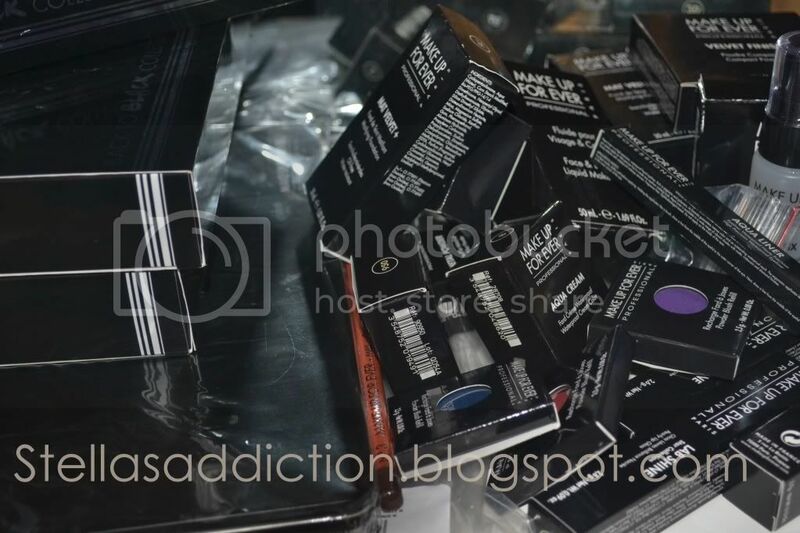 I was so thrilled, like that wasn't enough he gave me 2 more sets of the Back to black collection!!! I am green with envy Stella!!! Hope you got my email yesterday. OMG this is a HUGE haul! @ Fanny i will let you know as soon as I try it out. LOL! Oh LohiO, if you are trying to quit you are reading the WRONG blog LMAO! 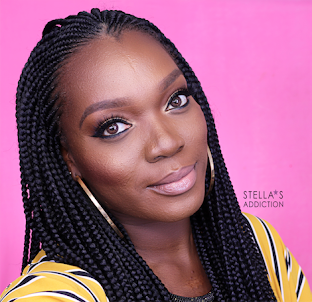 Please can you do a review on the MUFE velvet foundation? 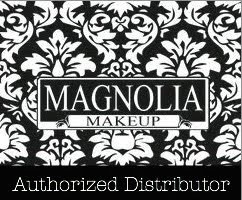 I use the HD and have hyper-pigmentation. I am of African origin and have oily skin.